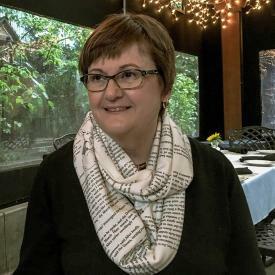 Local history expert Candace Wellman will give a talk at Western Washington University entitled “Inside the Archives: Researching Cross-Cultural Marriages in 19th Century Whatcom County,” at 4:00pm on Tuesday, April 16 in Western Libraries Special Collections. The event is free and open to the public. While volunteering at the local archives, Candace Wellman discovered that nearly 90 percent of all early-Whatcom County marriages were cross-cultural. While historical evidence of the husbands, who included notable community founders and officials, was plentiful, the indigenous women they married remained unknown to history. Experienced in research methods, history, and genealogy, Wellman resolved to uncover these hidden stories and thus began a decades-long quest in which she spent countless hours in the archives, pouring over historical documents and collections. After nearly twenty years of research and writing involving close to two hundred collaborators, Wellman’s first book, Peace Weavers: Uniting the Salish Coast Through Cross-Cultural Marriages, was published by Washington State University Press in 2017. The book, which looks at the lives and accomplishments of four indigenous women who married early-Whatcom County settlers, won the WILLA Award for Scholarly Nonfiction in 2018. A companion book, Interwoven Lives: Indigenous Mothers of Salish Coast Communities, which includes four additional biographies, was published in March 2019. Wellman holds a B.A. in Sociology from Washington State University and a B.Ed. in History/Secondary Education from Western Washington University. Born and raised in Washington, she is a local history consultant who speaks regularly about women’s history and regional settlement. This talk is offered as part of the Heritage Resources Distinguished Speakers program. For more information about the event, please contact Ruth Steele, Center for Pacific Northwest Studies Archives, at Ruth.Steele@wwu.edu or (360) 650-7747.